OC Global contributes to the management of the most precious resource on Earth: water. Water is also at the root of disasters such as floods and droughts, and disputes over water also trigger conflicts. 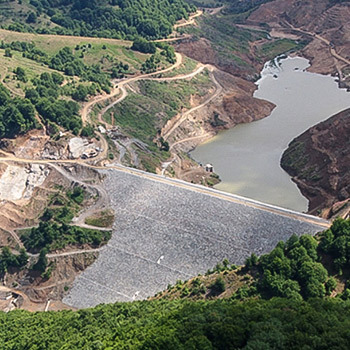 We play a role in improving regional development and life in developing countries, from our flood control systems in China to our dam that helped secure drinking water in Macedonia. OC Global is a comprehensive consultant with experts in all fields related to water resources. For example, we use analysis of surface water and groundwater along with appropriate measures by experts in effective water use and water-saving technology to propose water resources development in fields such as agriculture and water supply. In flood disaster prevention, OC Global has vast experience in implementation and planning, from structural measures such as embankments to non-structural ones such as early warning, evacuation and public awareness systems. Through a combination of software and hardware, OC Global creates measures that help realize water control and water utilization projects that meet the needs of partner countries, organizations and residents around the world.